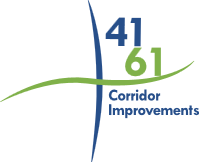 The CSAH 61 Bridge & Roadway Improvements Project is the first part in the County Highway 61/Highway 41 Improvements Project. The project area includes CSAH 61 from Chestnut Street to Hickory Street and Creek Road from CSAH 61 to Creek Lane. Construction will begin in early July and continue through early November. Final cleanup and restoration is anticipated to be completed in spring of 2018. This project will be completed in three stages to minimize impact to adjacent properties. For staging and access information, please visit the Project Documents tab.